The N.C. Chronicles. : Thank you for your continuing support. Thank you for sticking with us, and obviously what we post is important and reasonable, otherwise such numbers would not appear. We do not claim to be overly popular, only that what we say is important to many, especially in Lanark county Ontario. It shows, honestly, traditional family values, anti feminism is the main stream thinking and the idea we want "their" way of life is not exactly reality. They live a life of make believe and as we can see throughout the world, rationalism is in dire need. What we and other mrm, frm sites expose is, corruption inside our system at the expense of our kids and our family, in no way, will the state and it`s corrupt social organisation ever take over parental right away from us, we are the majority and we better do something about it otherwise our way of life will fall into the ashes of history. Without a strong family with traditional values, nations cannot survive. 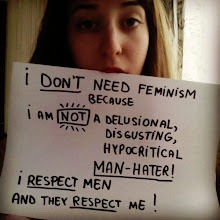 We have also come to a conclusion that feminists and their manginas suffer from one hell of an inferiority complex against men, some bordering on hate, this is pretty obvious, therefore, debating them is a lost of time. One cannot debate stupidity and irrationalism, we can only point to their idiocy and hate. What is going on in the world right now, wars and the talk of wars, diseases, hunger, perpetrated by the greedy is a direct result of the divisions inside our society created by those who thrive on it, when we are at each others throat inside our own circle, it is easy to turn that way of thinking towards anyone and everyone. This is better than watching the news,at least its not propaganda. Thats because we love this site. Family values are been taken away by the crazy left,defending them these days is a worth while endeavour and needed. What Bonny said family values is why i read this site. And Thank YOU for this site!!!! !